I come to know about this oil through a colleague who told me to try once this to get a beautiful skin, which i found very effective. 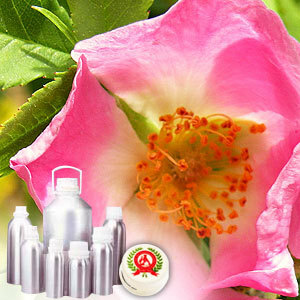 Rosehip carrier oil is extracted from the seeds of the native rose plant. The oil contains Vitamin A, which helps to delay the effects of skin aging, assists with cell regeneration, and promotes collagen and elastin levels to increase. It widely used to help treat dry, irritated or weather damaged skin. Rosehip oil also contains natural Tretinoin, a derivative of Retinol (Vitamin A), which replenishes and helps rebuild skin tissue. The oil has a naturally occuring preservative in the form of anti-oxidant tocopherols (Vitamin E), which helps to maintain shelf-life. Rosehip carrier oil blends with other oils like jojoba and sweet almond, and will have wonderful effects at 10% of the total concentration. Further, rosehip seed oil makes an excellent carrier oil for aromatherapy - blends with essential oils having skin regenerative and soothing properties. 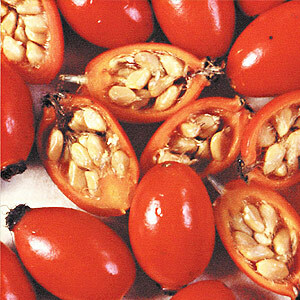 Rosehip carrier oil is popular with massage therapist for its skin healing properties. It is also suitable for cosmetics and other beauty products.